The object of the program is to enable the student to learn all necessary skills and techniques of the first phase of pet grooming Handling Skills & Coat Care. Upon successful completion a Certificate of Completion is issued. Instruction is in residence on school premises. Students may enroll any school day, as instruction is offered in continuous cycles, allowing for entry at any time with student progressing at their individual rates of capability. 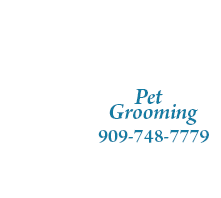 Eighteen years of age or older, high school graduate or equivalent, and completion of an application and an interview to determine suitability to learn to be a dog groomer. 7 1/2 hours per day, 5 days per week, 37 1/2 hours per week, 12 weeks, 562 clock hours. 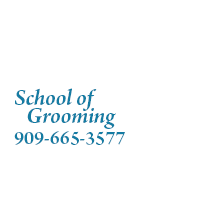 Students are required to groom a minimum 100 dogs during the course. 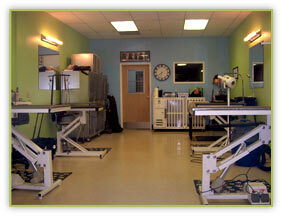 Brushing, bathing, hand fluff drying, nail clipping, ear cleaning,and methods and attitudes of dogs handling. Introduction to care, handling and use of scissors. Use of scissors on head, moustaches, tails and poms on legs, Scissor finishing or simple strips. Setting poodle patterns and other patterns. Finishing patterns. Final check of total groomed look. Practice of learned techniques. Become familiar with the total look of well-groomed dogs. Learning to increase speed with no sacrifice of quality. Monday through Friday: 8:30 a.m. to approximately 5:00 p.m. The school day ends when the students have finished the scheduled dogs and prepared their areas for the following day of grooming. Due to the unique nature of the course and its instruction, its difficulty and importance of continuity, no credit towards completion is granted for previous experience or training. Application and Interview will be given. Classes are on an open enrollment and students will be advised of probable start dates at the time of enrollment. Students shall attend scheduled classes the same as they would be expected to be present at work for which they have been employed. Absences will be recorded. More then four unexpected absences during the duration of the course is cause for automatic dismissal of the student. Re-entrance will be permitted only after it can be shown the cause of unsatisfactory attendance has been corrected. Students failing to maintain satisfactory attendance will be advised by the Director, so they know. The student shall have the right to cancel this agreement for the instruction including purchases of any equipment for the instruction until midnight of the fifth business day after the day on which the student (1) attended the first class of the course of instruction which is the subject of this agreement, (2) received a copy of the agreement and the disclosures as required by subdivision (a) of Education Code 94316.10, whichever is later.